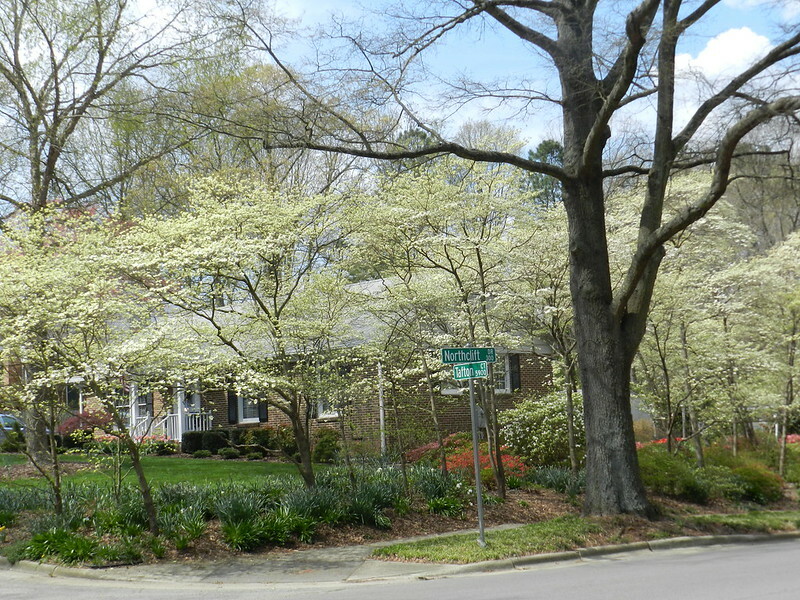 Northclift Drive is a street in Northclift subdivision near where I live in a North Carolina town in the triangle area and this road ends on North Hills Drive. A beautiful view, like a greeting card. What a beautiful street scene. I can see all the new spring growth...soon it will be here...sigh...I'll just enjoy yours. How lovely with those blossoming trees! Spring has come! a particularly NIFTY set of N's! beautiful quiet street, i can picture lemonade stand and kids riding their bikes on the sidewalk. Beautiful place to drive around. A Northerly post and what a lovely place to live. Northclift is looking mighty lovely! It looks like a fairy land! Beautiful! How lovely! I KNOW spring is coming...soon. Beautiful, beautiful, beautiful! I've always thought North Carolina was such a lovely state.